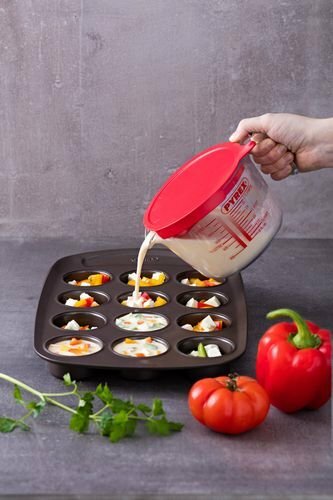 At Pyrex, we love to cook and bake in every kitchen around the world.All Pyrex glass products are made in France of high quality borosilicate glass. 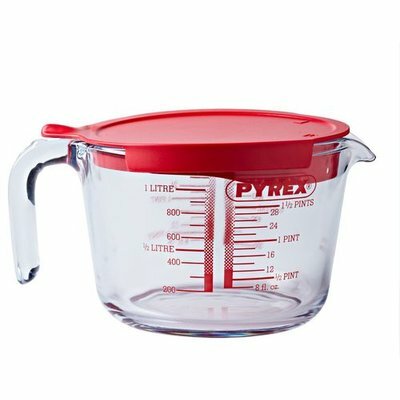 The Pyrex measuring jug with its new plastic lid with both wide and small opening spouts is bound to become a must in every kitchen. The lid creates a multifunctional measuring jug which can, not only be used for measuring but also for the storage and pouring of the contents of the jug.